When I looked at this scene early this morning the first thing I thought was “how do I make sense of this confusion?” I’ve painted it before — last summer, and the summer before — but not in the early morning like this and perhaps with fewer boats in the bay. If you think about it, it’s impossible to draw in all the details on the boats, unless of course you have all day and besides, why draw details that you can just as easily add in with a brush? In a scene like this there are three repeating motifs: the sail covers, the masts and the shapes of the foreground boats. The rest is just filler. Bits of lights and darks between those shapes that convey more rows of boats. So here’s what I did. I drew the foreground boats, the sail covers, the horizon line and the line of trees. When it came time to paint, I started with the sky and water and left a good chunk of unpainted (white) shapes in the middle. If you look carefully, there are no boats behind that first row. Just masts, sail covers and little dark and light shapes. I painted the reflections fairly early on in the process and it’s a good thing I did since the wind picked up not long after and changed the scene considerably. The last thing I did was the masts, trying to connect them with the sails, and not always succeeding. 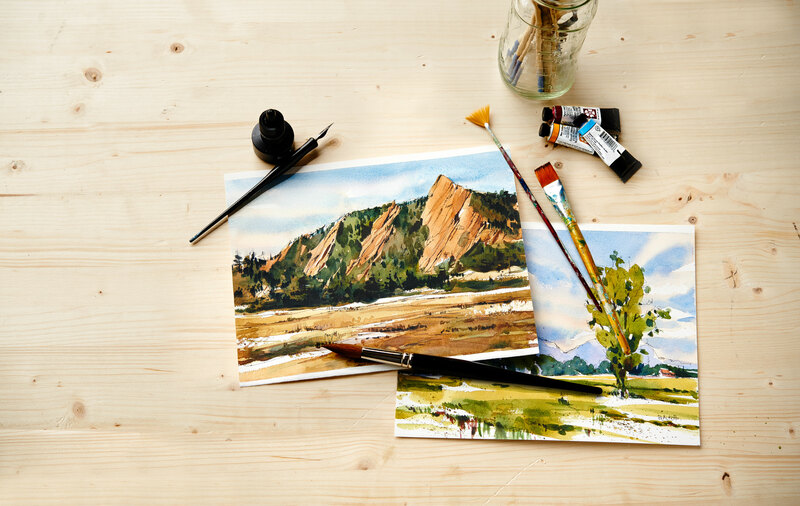 Here’s a tip for watercolour painters: bring extra water if you go out painting. I should really carry a jug in the car but I don’t, so today when I needed some clean water I took the stairs down to the lake and filled my cup. Now this wasn’t for drinking — the water from Lac St. Louis isn’t clean enough for that. But if you don’t mind little bits of seaweed floating around, it’s fine for painting. The yacht club in Pointe Claire is starting to have that busy summer feeling and that’s what I tried to convey today. 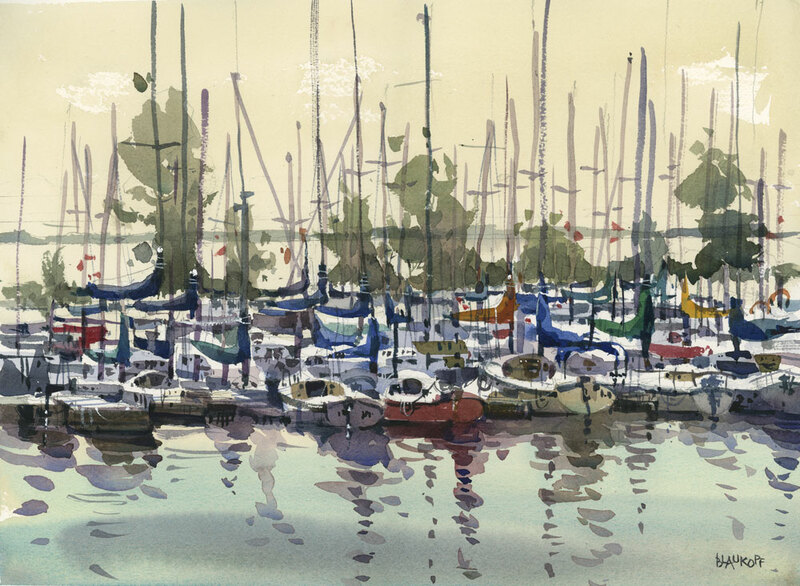 The water was dead calm so it was a good day to paint, although probably not a good day for sailing. Painted on Arches paper, 140 lb CP, 15″ x 11″. 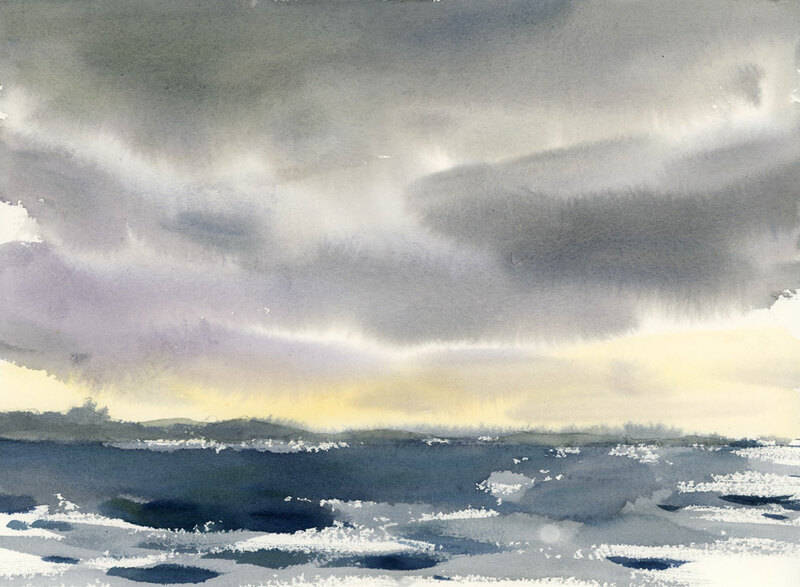 I was sketching some boats in the bay today when the storm came up, fast and dark behind me. I turned the car around to face the lake and caught the view out of my side window since the rain was coming down too quickly to see through the front windshield. Sometimes you just have to adapt. The boats will be for another day. 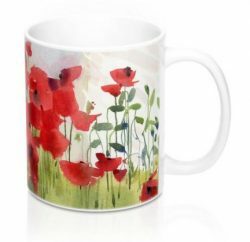 The class covers so many techniques that I talk about daily on my blog. 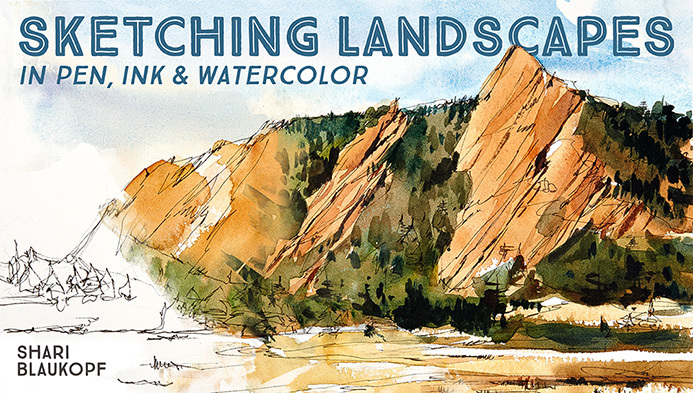 We start with a look through my sketchbooks, and then we go outdoors to the Flatirons in Boulder, Colorado to work on composition and value sketches. 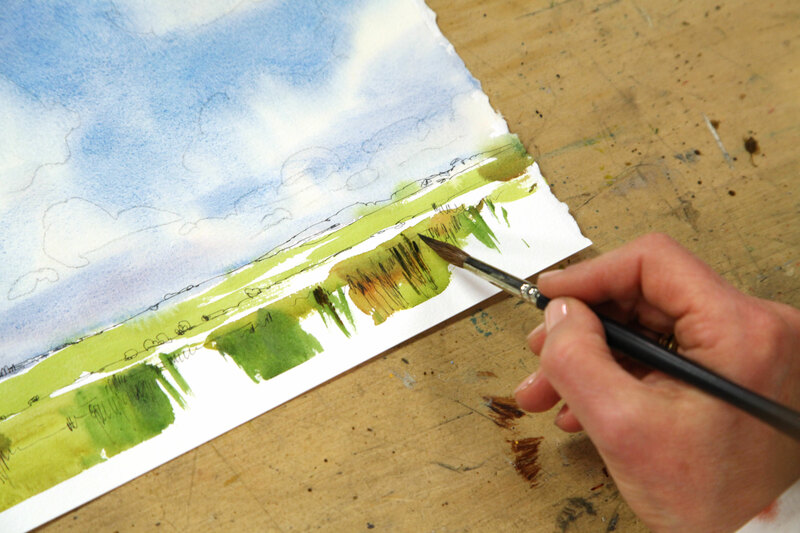 Back in studio we look at different ways of painting skies, and then move through all the stages of the sketch — from drawing with pen and ink to painting the big shapes and then adding texture and darks. 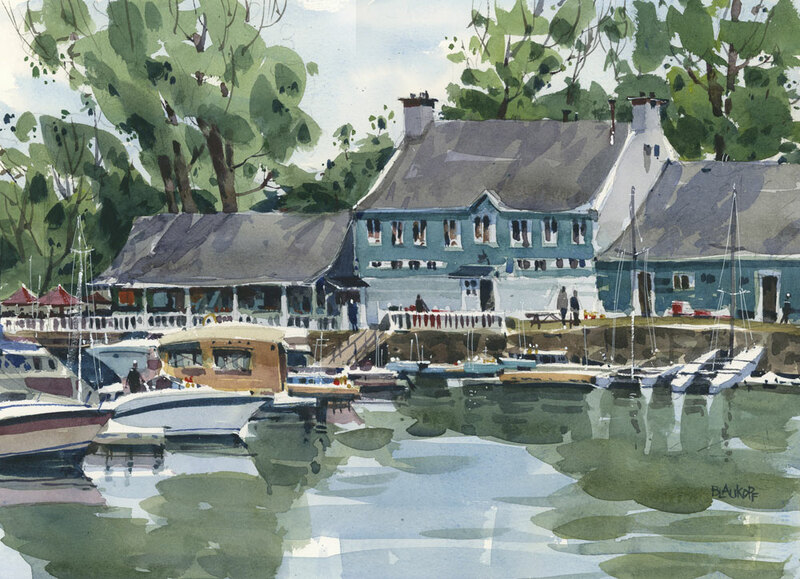 The final lesson is about making your sketch unique and using a limited palette to evoke mood. I’ve often been asked if I have any instructional videos, so it’s exciting to finally be able to share this. When the class launches I’ll post it here, but in the meantime good luck in the draw! There’s a group of plein air painters that meets every Tuesday in the summer at different scenic spots around Montreal. They’ve been doing this for over 20 years and I hope to join them as often as I can this summer. Today’s meeting spot was Parc des Ancres at Pointe des Cascades in Vaudreuil— literally a park filled with over 100 old anchors and maritime artifacts from the abandoned Soulanges Canal. I was in the mood to paint water so I found a good viewing spot and tackled the derelict lock and the water seeping through it. 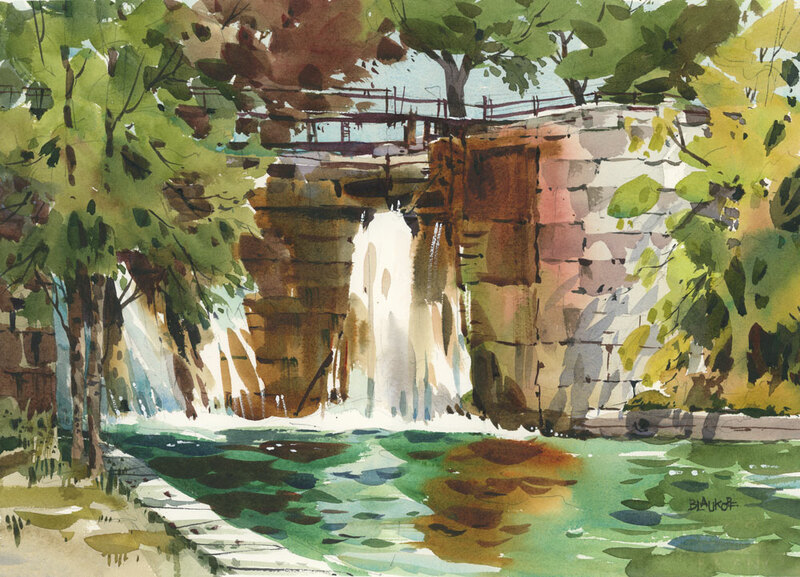 I don’t think I’ve ever painted falling water so this was lots of fun. These outings are open to all so if you are interested in dates and locations send me an email and I’ll send you the list. Painted on a quarter sheet of Arches paper. I arrived a little late at life drawing studio today and ended up in a different spot in the room than usual. Most of the time I sit in a place where the model — lit from the spots above — is about half in light and half in shadow. Today I sat on the darker side of the room and although I was a bit discouraged at first, this turned out to be exactly the right place for what I wanted to do. My aim today was to work with really simple shapes, to unify the shadow areas on the figure and to keep the brush really wet and loose. By sitting in that spot, most of Elissa’s body was in shadow with only a little highlight along the edges. This is in fact easier to paint than when it’s more of a 50/50 split between light and dark. Too bad I figured this out on the last session of the year… I’m hoping that come September my teaching schedule at school will allow me to draw again with this great group of artists. It was quite fitting that today, on the 139th birthday of Mount Royal, Le Prix du Mont Royal was awarded to an individual who has made an extraordinary contribution to the life of the mountain. This year the recipient of the prize was Jean Doré, mayor of Montreal from 1986-1994. It was during his term as mayor that the Montreal portion of the mountain was declared a heritage site, plans were set in place for the restoration and conservation of the mountain, and the Chalet lookout was restored. These accomplishments are in part what makes our mountain such a vibrant place. As a proud Montrealer, I was very honoured that my painting “November Panorama” was chosen as the prize. 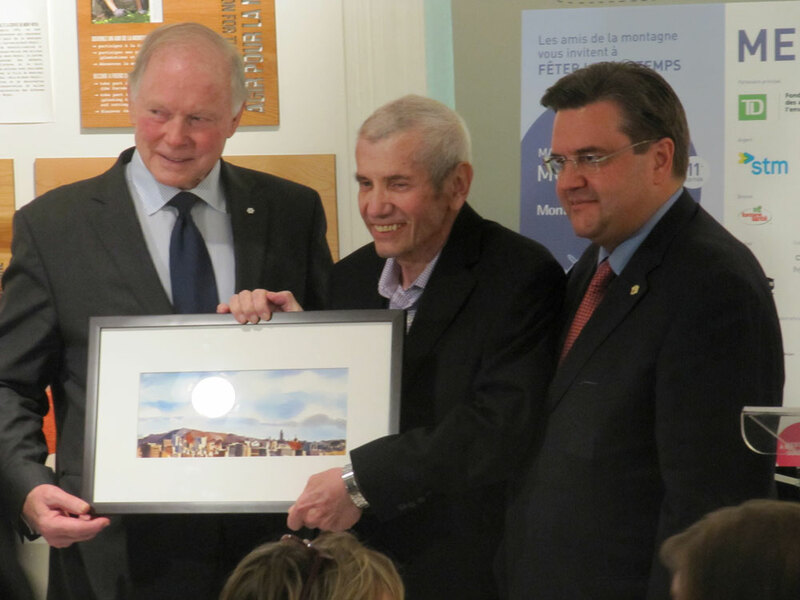 With Mr. Doré (centre) are Peter Howlett (left), president of Les Amis de la Montagne, and our current mayor, Denis Coderre.